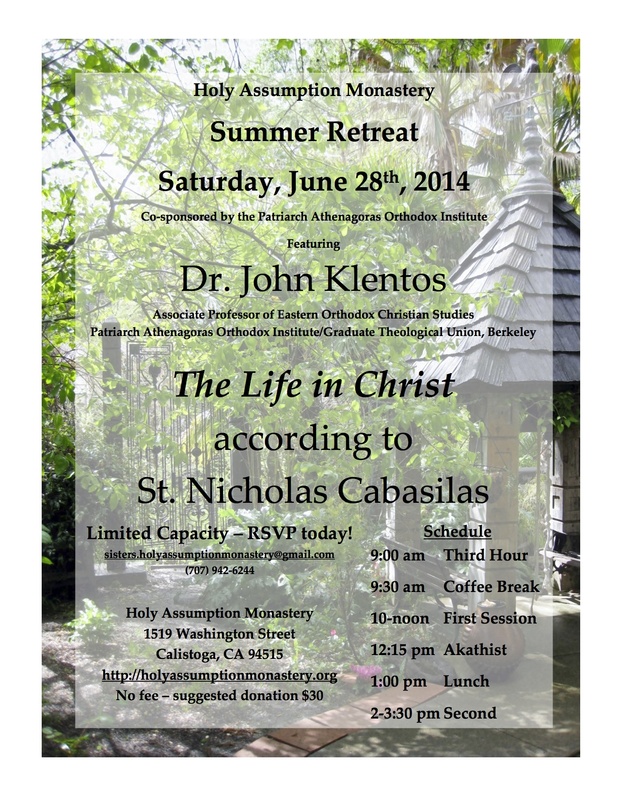 June 28, 2014: "The Life in Christ"
Recording Caveat: "The Life in Christ"
Regretfully, the recording device at the retreat with Dr. Klentos failed before the end of his second session. No backup recording is available, so the last track on the CD comes to an abrupt end, and the final half-hour of the retreat is missing. We hope that the recorded portion of the retreat still proves beneficial and enjoyable. Audio Recording: "The Life in Christ"